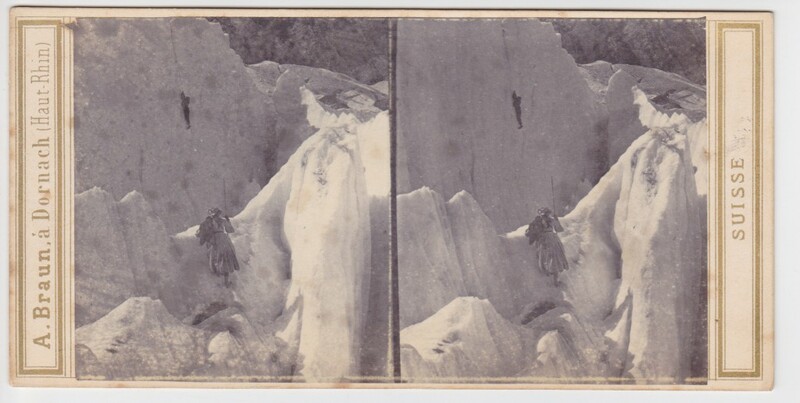 Uncommon stereoview of the rescue of Jean-Michel, a French alpine guide, from the abyss in the lower Grindelwald glacier, Switzerland, 16 september 1863. No. 3307. 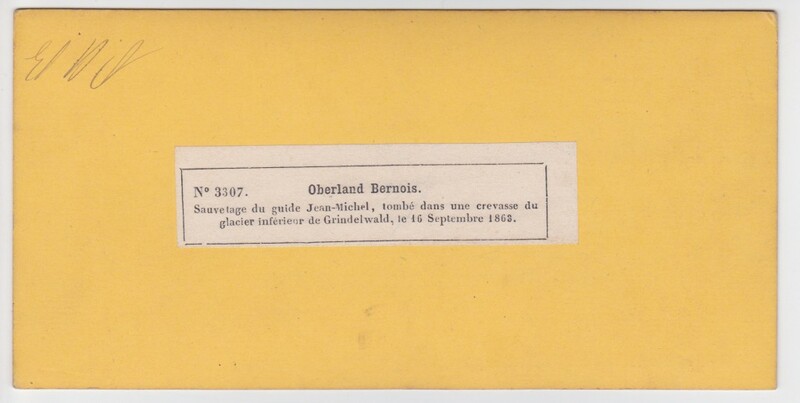 Oberland Bernois. 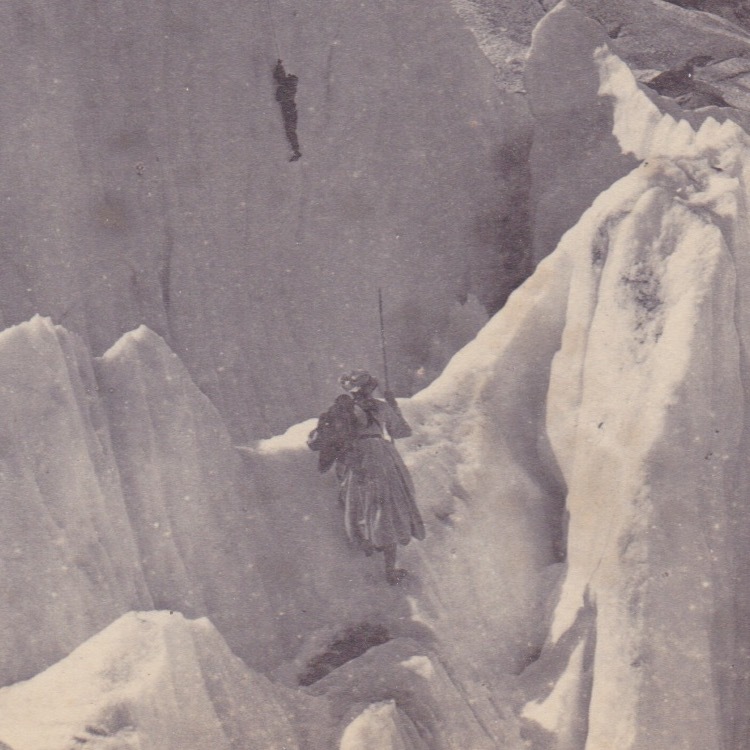 Sauvetage du guide Jean-Michel, tombé dans une crevasse du glacier inférieur de Grindelwald, le 16 September 1863. Two albumen prints mounted on card. Published by the firm of A(dolphe) Braun. Dimensions: 17,5 x 8,5 cm.